Battle with Kylo Ren’s TIE Silencer and the Resistance A-wing in a deep space microfighter duel! Sit the minifigures on top of their ships, load the flick missiles and blast into action. There’s also a mini maintenance station to keep the ships in top shape. Good luck, warrior! 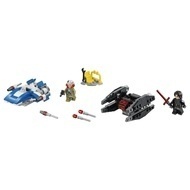 - Includes 2 minifigures: Kylo Ren and an A-Wing Pilot. 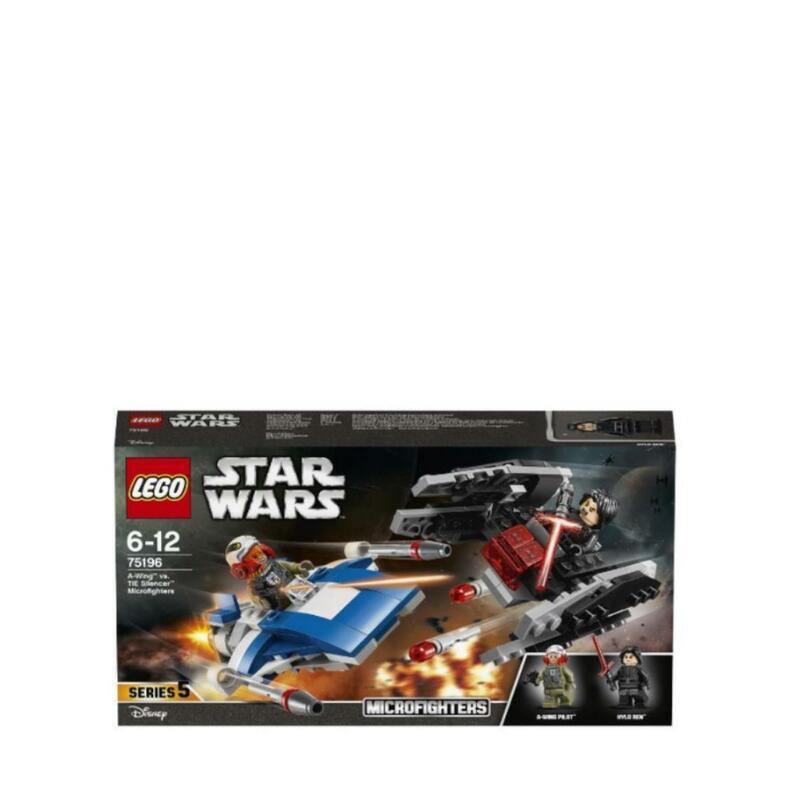 - Features a Resistance A-wing and Kylo Ren’s TIE Silencer, each with lots of authentic details, 2 flick missiles and a seat on top for a minifigure to sit. - Weapons include Kylo Ren’s Lightsaber and the A-Wing Pilot's blaster pistol. - Recreate your own scenes from the blockbuster Star Wars: The Last Jedi movie. - This LEGO® Star Wars toy is suitable for ages 6-12. - Resistance A-wing measures over 1” (4cm) high, 3” (9cm) long and 3” (8cm) wide.